Dreamy modern take on classic Lyn Ashworth. 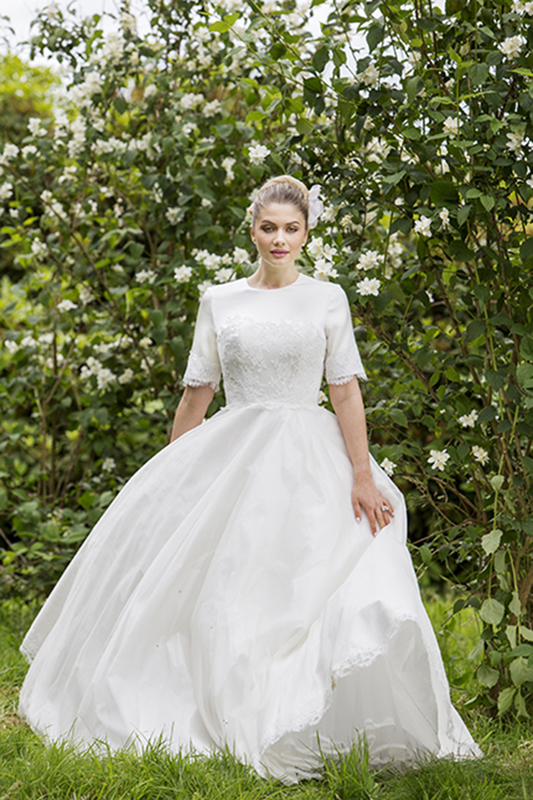 Billowing silk organza and dupion one circle skirt is trimmed with delicate French lace at the hemline. Signature corset bodice creates a nipped in waistline for the slinky soft porcelain ivory satin overlay with sleeves. 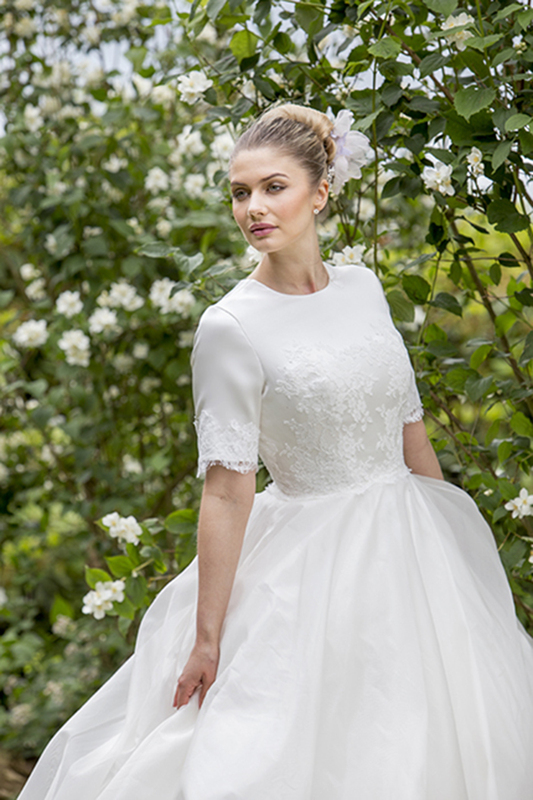 French lace applique detail at the waist and sleeves leads to a sleek stylish keyhole back.